Can a retreat ever be considered a success? Most are a sign of failure, as armies pull back from the objectives they seek to take or are driven from their territory by invaders. A few are tactical retreats, that is deliberate schemes to weaken or deceive an approaching enemy. Some retreats are mishandled and become disasters. Below are a few of the more memorable retreats in history. The Khan Krum was perhaps the greatest challenge facing Byzantine Emperor Nicephorus I. Having brought together many of the Bulgar tribes, Krum had launched raids into Byzantine territory, carrying off great masses of wealth. He was celebrated by his men and reviled by the Byzantines. When Nicephorus gathered an army of 70,000 soldiers, Krum knew that he could not stand against him. He had nowhere near as many men, and the strength of those he had did not lie in pitched battles, a form of combat which would favor the Byzantine heavy cavalry. So Krum retreated, surrendering his capital of Pliska, gathering more troops as he retreated north into the hills. Luring the Byzantines after him, he trapped them in a steep-sided valley. Retreat turned into an ambush, and he smashed the Byzantines, killing Nicephorus and driving his army out of Bulgar lands. 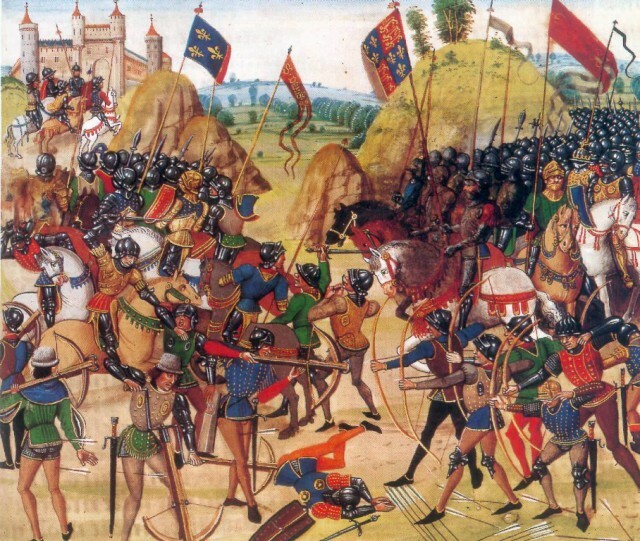 During the Hundred Years War against the French, the English kings achieved most of their notable successes through raids known as chevauchées. Striking into lands held by the French crown, they would pillage and burn. This served two purposes – to undermine the local economy, and to prove that the French monarchy could not protect people, encouraging them to switch allegiance to the English. The retreat was always an important part of the chevauchée – returning to English-held territory before French forces could catch them. In August 1346, King Edward I was leading just such a chevauchée through northern France when he found himself pursued by a larger French army. The retreat could not continue indefinitely, as the English were slowed down by the challenge of moving through hostile territory while weighed down with stolen loot. Instead of continuing in his attempts to escape, Edward picked a defensive spot at Crécy, and on 25 August he fought the French there. Effective archery, solid infantry, and superior ground allowed the English to defeat the numerically superior French and their heavily armored knights, in what was the first of three great battlefield successes for English archers over the course of the war. 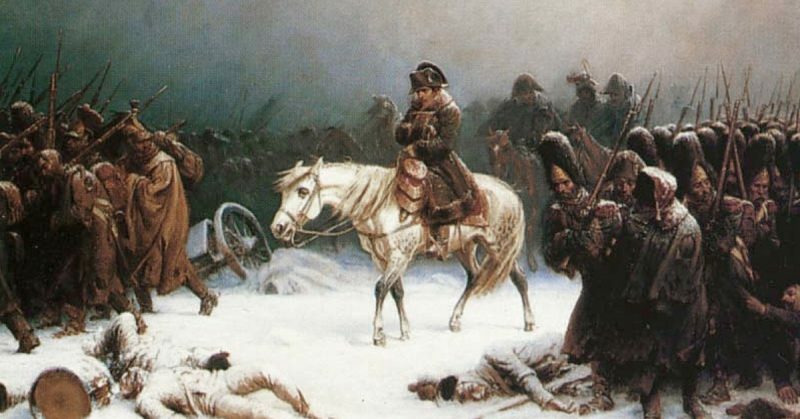 Napoleon’s invasion of Russia is the story of two retreats – one by the defenders, and one by the thwarted invaders. In the face of the previously invincible French armies, the Russians did not stand and fight, but withdrew deep into their own territory. By using a scorched earth policy, they deprived the over-extended French army of the resources it needed to feed itself. Then came the factor that the Russians understood, but for which the French were woefully unprepared – the harshness of a Russian winter. 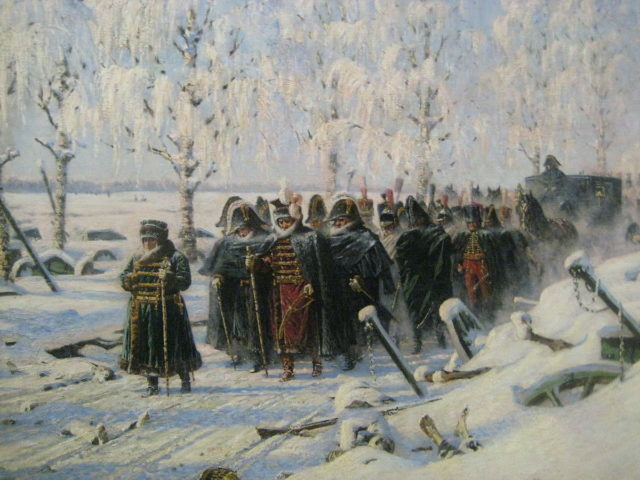 Having defeated, but not broken the Russians at Borodino, and not brought them to battle at Moscow as he had hoped, Napoleon found that, despite the military victory, he had not conquered his enemies. As winter drew on and his exhausted troops ran low on supplies, he was forced to withdraw, harassed along the way by Russian attacks. The French and their allies lost an estimated 380,000 men dead, deserted or captured by the Russians, as well as leaving valuable field guns and horses abandoned in the snow. 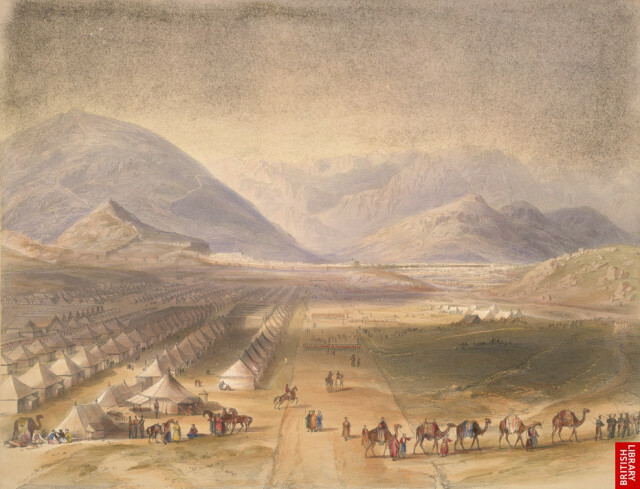 British and Indian troops outside Kabul 1842. From its beginning in 1839, the British invasion and attempted occupation of Afghanistan had been a painful one. The locals bitterly resented the invaders and fought against them. This was not the sort of field warfare the British were well prepared for, gunning down enemies in open combat. Instead, they faced persistent and sporadic resistance. One of the British bases was the walled cantonment in Kabul. In 1842, the British commander there, Major-General William Elphinstone, found himself effectively besieged by Afghans led by Akbar Khan. The Afghans were determined to drive out the British, and Elphinstone was incapable of the sort of innovation or decisive action needed to tackle them. After a period of messy and indecisive fights and negotiations, in which the British suffered humiliating losses, Elphinstone gained an agreement from Akbar Khan to allow the isolated British population to safely retreat down the Khyber Pass to India. 16,000 men, women and children set out down the snow-laden pass, attacked by Afghans every step of the way. Within a week, they were nearly all dead, including Elphinstone. Only a handful of Indian soldiers and a single European, Surgeon-Major William Brydon, lived to tell the tale. The 1940 invasion of France was one of Adolph Hitler’s greatest triumphs. Tearing at high speed through the French and British lines, the Germans separated the Allies, shattering the French and isolating the British. 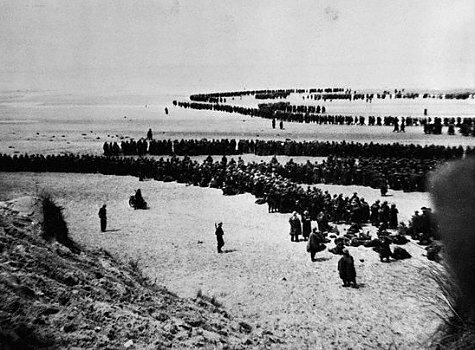 By 21 May, the British Expeditionary Force had access to only one Channel port – Dunkirk. On 19 May the government had ordered Admiral Bertrand Ramsay to prepare for an evacuation through there, and a call had gone out for every boat the British could lay their hands on. On 25 May, the British forces were ordered to retreat to Dunkirk, and the next day Operation Dynamo, the evacuation across the English Channel, began. A British counter-attack at Arras on 21 May had convinced Hitler that the British were still a threat, and so he halted the advance on Dunkirk from 24 May until the surrender of Belgium on 28 May. This gave the British time to prepare their defenses, and when the attack recommenced it faced stiff resistance. Luftwaffe bombs put the harbor out of the action, but the Royal Air Force kept German bombers from wiping out the troops. 848 British, French and Belgian ship, from private motor boats to military destroyers, transported out 340,000 Allied soldiers, two-thirds of them British. France was about to fall, but thanks to Dunkirk the war would go on. Geoffrey Ellis (1991), The Napoleonic Empire. Nicholas Hooper and Matthew Bennett (1996), The Cambridge Illustrated Atlas of Warfare: The Middle Ages.